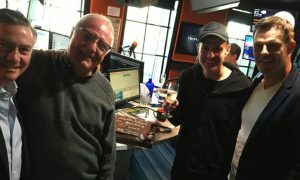 The winners from the 2017 Australian Commercial Radio Awards (ACRAs) were announced at a Melbourne event on Saturday night. 2GB broadcaster Ray Hadley has become the most celebrated radio announcer in the history of the Australian Commercial Radio Awards (ACRAs), this year winning the Best Talk Presenter, Best Sports Event Coverage, Best On-Air Team (Metro AM), as part of the Continuous Call Team and an induction into the Hall of Fame, taking his total awards to 30 throughout his 36-year radio career. Hadley seemed like he was onstage as much as the hosts. Hadley and WSFM’s Amanda Keller were both inducted into the Commercial Radio Hall of Fame for their outstanding lifetime achievement and contribution to the radio broadcasting industry. For the second year running, Kate Ritchie, Tim Blackwell and Marty Sheargold won the Best On-Air Team (Metro FM). Onstage accepting the award, Sheargold admitted he felt pretty good about the chance of going for a three-peat in 2018. 3AW’s Neil Mitchell won the prestigious and hard-fought Brian White Award for Radio Journalism, bringing his career ACRA total to 20. Recent winners of the award have included Glenn Daniel, Deborah Clay and Lisa Barnes. 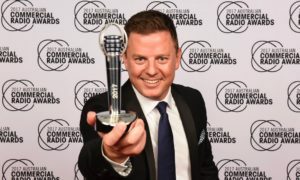 Best Current Affairs presenter was won this year by 2GB’s Ben Fordham, a three-time winner of Best Talk Presenter. 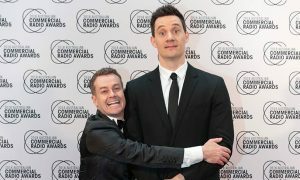 Hit Network’s Hamish and Andy (Hamish Blake and Andy Lee), who have been celebrating their last year in radio throughout 2017, won the Best Station Produced Comedy Segment and Best Station Promotion taking their ACRA career total to 11. 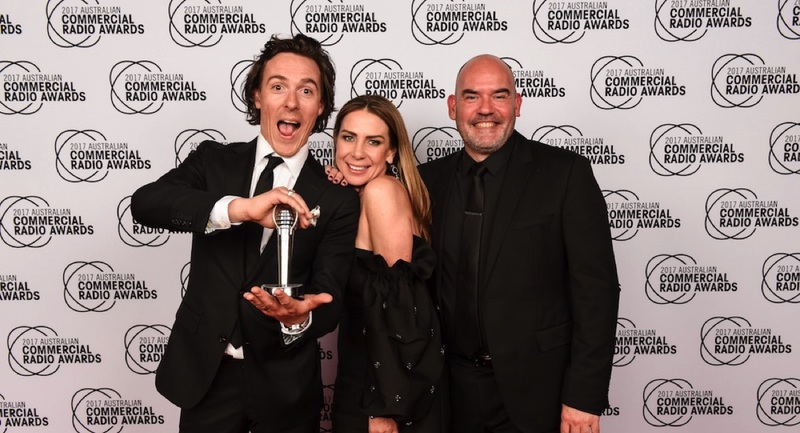 Smallzy (Kent Small), host of Smallzy’s Surgery and celebrating 10 years with Nova Entertainment, was awarded the ACRA for Best Music or Entertainment Presenter for the second year running. 2GB sports presenter Erin Molan won the Best Newcomer On-Air award and also picked up the Best On-Air Team (AM) as part of The Continuous Call Team (Ray Hadley, Bob Fulton, Darryl Brohman, Erin Molan, David Morrow, Mark Riddell, Chris Warren & Mark Levy). Erin’s the first female to join the 2GB Continuous Call Team full-time in the show’s 31-year history.